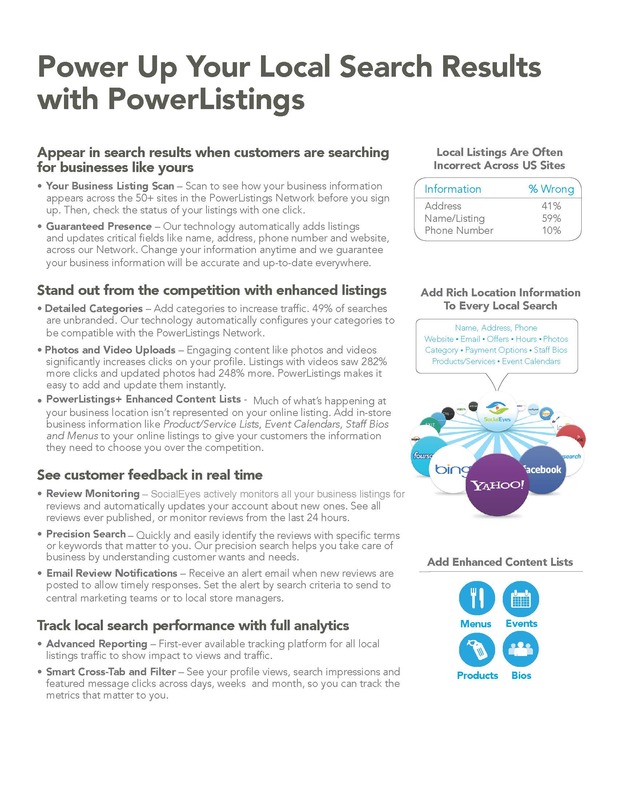 PowerListings is all about control and results for your business. You get control of your information on dozens of critical local search sites. 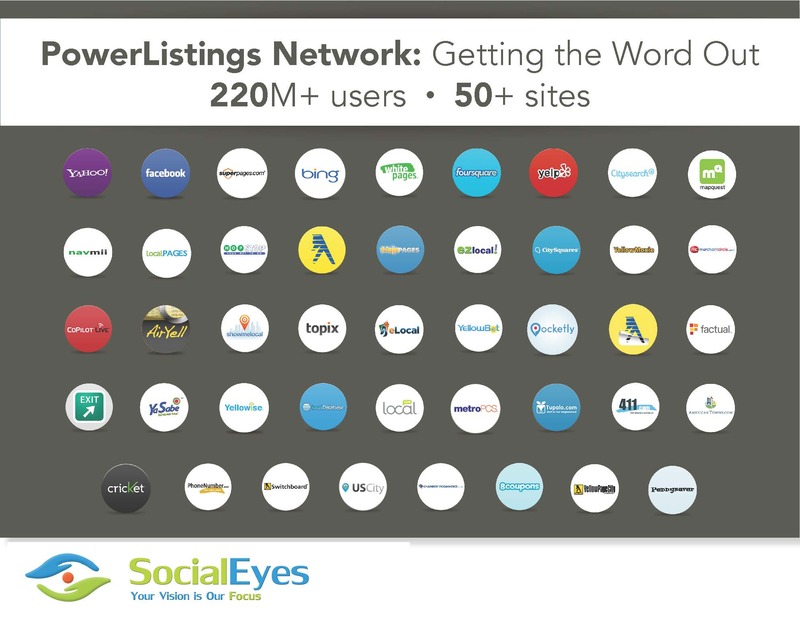 You get to enhance your listings with photos, descriptions, and specials so you stand out from the pack. And you can track your local search results. 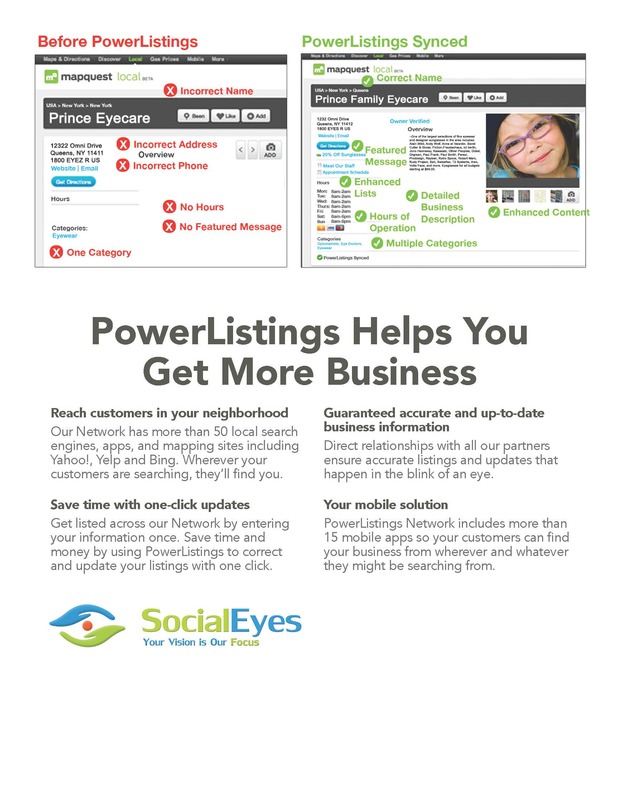 Best of all, setup takes just minutes and your PowerListings will be live in no time!